I’ve been doing a lot of research lately and have found some pretty cool bakeries in the area that I am excited to try. Within the next few weeks, I should be stopping by some of those places and having reviews ready for you guys. Next week though is something I’m very excited about. 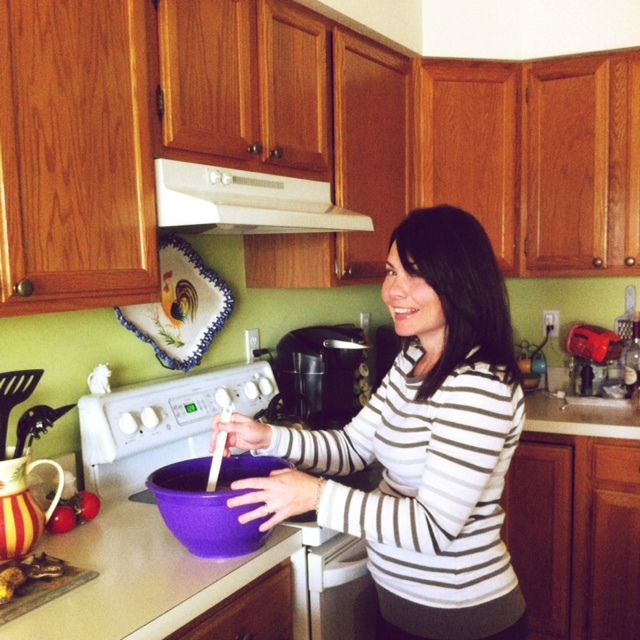 After scoping out the blogosphere, I found Gabrielle Terzano, a local baker from Mount Laurel, New Jersey. Gabrielle has a passion for food and started her own healthy eating blog where she posts healthy recipes for all of her followers to try. Recently, she’s been tackling “skinny” cupcakes, and I am intrigued. I’m excited to see what ingredients she uses in her healthy cupcakes and to try some! To get a sneak peek, you can check out her blog, here. Can’t wait to show you guys how to eat cupcakes without ruining your healthy eating plans! There’s nothing I enjoy more than baking holiday-inspired cupcakes. With Saint Patrick’s Day this Sunday (March 17) I realized I’ll be spending lots of time in the kitchen making green, Irish-inspired goodies. I took some time to find recipes that I’m dying to try and thought that my followers might enjoy trying them too! I’m featuring four recipes to symbolize the four leaf clover, a symbol of luck in Ireland! I’ve never tried vegan cupcakes, but these Vegan Irish Cream Cupcakes from Pumpkin Honey have piqued my interest. Made with homemade Irish Cream and a simple cupcake recipe, these cupcakes aren’t green but they’re the perfect way to have an Irish taste while also remaining as healthy as a cupcake can be! Last St. Patrick’s Day, I made a modified version of these Lucky Charm Cupcakes from Just Call Me Maria. Her version includes finely crushed Lucky Charms inside the cupcakes, which makes for fun surprise when you take a bite. The cupcakes themselves are green, which is very fun for the kids! This recipe is super simple and easy to follow and sure to bring a smile to everyone’s face. Green Velvet cupcakes are super simple and the easiest way to show your Irish pride through your baking. All you need other than the usual cupcake necessities is green food dye, which you can find at any grocery store near all of the baking supplies. A Bitchin’ Kitchen provides an easy recipe to follow and has amazing pictures to give you an idea of how you can decorate them once they come out of the oven! Last but not least are these delicious Thin Mint-Chocolate Cupcakes from The Culinary Chronicles. These cupcakes feature the incredibly popular Girl Scout cookies, Thin Mints. The recipe is slightly more difficult than the others, but it is certainly worth the work! Not only are these nice to look at, they are filled with a surprising, but sweet minty flavor. I hope you all have a fantastic Saint Patrick’s Day and you try at least one of these recipes to help you celebrate! Within the next two weeks, keep your eyes peeled for a review on a local bakery! I’m working on a lot of great things and can’t wait to introduce my followers to some amazing local cupcake bakeries! Too often, people take the easy way out when frosting their cupcakes. While there isn’t always time to create a perfect, pretty cupcake, there’s always time to learn how to do so for the days when there is time to make your cupcakes look like a work of art. The most common problem people have when trying to frost is the lack of proper tools. Generally, you will need a frosting bag and a frosting tip, both of which you can find at any specialty bake shop or at craft stores like AC Moore or Michael’s. However, these tools are not always necessary and you can make your own frosting bag by using a Ziplock bag (or any other plastic bag.) This post will show you a step by step guide to creating perfect, pretty cupcakes by using a plastic sandwich bag for frosting. It’s so easy and you have all the tools in your kitchen already! Take a look! For these cupcakes, I used store-bought icing. Any kind works but this was a new kind that I wanted to try! You will need three things to frost your cupcakes the easy way. The frosting, a large glass, and a plastic bag. You’re going to place the plastic bag into the glass to make the process of scooping the icing into the bag easy. It’s a trick I learned about a year ago and it has simplified the entire process TREMENDOUSLY! Scoop all the icing into the bag so it looks like the picture here. Take the bag out of the glass and close it tight. You’ll be squeezing the bag so you want to make sure it’s closed. Squeeze the icing to one side of the bag and cut the tip off at the bottom. Make sure you don’t cut too much or else the icing will come out too much. Leave yourself enough room to have a decent amount come out, but not too much that it comes out in globs. Once your bag is ready, you can start your cupcakes. You’ll want to frost in a circular motion (it’s the easiest!) Make a small circle outlining the outside of the cupcake. Use a slight amount of pressure on the bag so that it does not pop but so that enough icing comes out. This! Generally, you’ll go in four circles. At first it will not look pretty, but the more practice you get, the better it looks. Eventually, they’ll turn out like this. For a plastic sandwich bag, these turned out pretty well. It’s a cheap and accessible way to frost cupcakes so they look nice. There you go! A step-by-step guide to frosting a pretty cupcake by using a cheap and easy method: a plastic sandwich bag! Try this method over the weekend and let me know how it works for you. Like I mentioned before, these things take practice, so do not get discouraged after your first cupcake! Keep a steady hand and stay focused and before you know it, your cupcakes will look beautiful. Good luck! For most of us, the work week is a long one. 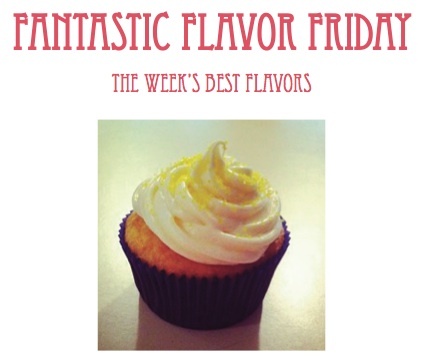 This weekend, try relaxing with a drink-inspired cupcake. These are often just as fun to make as they are to eat and usually quite simple to fix up in a hurry. First up is a Mudslide Cupcake from The Curvy Carrot. These cupcakes are infused with Kahlua in both the cake and the icing. Not much Kahlua is required and you can easily alter the recipe as you like. If you enjoy a chocolatey taste with a little kick, these are perfect for you. The cold months can make summer seem so far away. To take your mind off of the chilly temperatures, try a Rum Cupcake with Pineapple Frosting. Boulder Locavore came up with a delicious rum cupcake that can feature your favorite kind of rum in the cake. The pineapple frosting adds a beachy feel to the cupcakes and can take you from cold to warm with one bite. Going off of the rum cupcakes, I Am Baker features a Margarita Cupcake to add some sunshine to your day. This site uses a box cake mix for the cake and a small amount of tequila. As previously mentioned, all of these recipes can be altered to add as much or as little alcohol as you like. Strawberry cupcakes are already highly popular, but adding champagne makes them perfect for a swanky weekend get-together or even a relaxing night in. The Cupcake Recipes shows a Strawberry Champagne recipe that’s super simple. You will taste a hint of champagne in the frosting as it is infused with 1/4 cup of champagne. Sounds delicious! With Saint Patrick’s Day around the corner, Irish Car Bomb cupcakes sound perfect. Brown Eyed Baker posted a decadent recipe that features Irish whiskey and Bailey’s Irish Cream. It’s a simple yet delicious recipe that will get you in the mood for the upcoming holiday. Try these this weekend to relax and unwind! Dreams are often formed in the comfort of one’s own home. For Jacki Chinosi, her home is where the dream has stayed. Five years ago, Chinosi realized she had a knack for baking cupcakes, really good cupcakes, that her friends and family alike could not stop complementing. “Every time we had a family gathering, I’d experiment with a different kind of cupcake,” she said. “And each time someone would come up to me and say that it was the best cupcake they’d ever eaten. It kind of got the wheels turning.” Chinosi formulated her own recipes and techniques and now bakes cupcakes for parties out of her home. Have you always been interested in baking? Yes, as a kid my mom and I used to bake together all the time. She was always making things for church functions and for holidays and I always remember wanting to help. It was fun. I also really liked putting ingredients together and seeing how they created something delicious. When did you start experimenting with cupcake recipes? It really started about five years ago when I was pregnant with my second child. I was constantly craving cupcakes and so I figured instead of spending lots of money on gourmet ones or going through the hassle of trying to find a good place to go, I’d make them myself. So I went online and looked things up and added my own spin on recipes I thought I’d like and it kind of just worked. I made my husband and my sister-in-law try them and they loved them and they’re my harshest critics so I knew if they liked them, others would too, which is why I started bringing them to functions and things. Do you plan on opening your own cupcake bakery one day? I mean, would I love to do that? Yes. Do I see that happening any time in the near future, no. I only say that because I have four kids now and I’m constantly busy with them and I can’t imagine opening a bakery because that’s like another baby. Honestly, baking out of my house is easy and just as efficient as having my own business. I get to choose when I work and who I work for and I can make sure that whoever needs me to make cupcakes for them gets exactly what he or she wants because I am able to focus on only that specific order. So for people who dream of owning their own bakery one day, would you advise them to start off at home? If you have this dream and you don’t have the opportunity to open your own place, starting at home is great. You obviously don’t get to reach out to as many people as you would if you had an actual bakery but it’s a great way to get experience and learn the tricks and trades of cupcake baking because you get to do it at your own pace. You always have to start somewhere and I think that there could be worse places to begin than at your own home. Any at-home tips for novice cupcake bakers? My best and easiest tip is a trick for box mixes. They usually call for oil and water in the recipe but if you substitute the oil for butter and the water for milk, it ends up much more moist and rich and it tastes like you made it from scratch. I hardly do this because I make all of my cupcakes from scratch but when I want to whip up something quick for the kids, I’ll do this. It’s a great secret. What makes your cupcakes unique? Everything I bake is made in my own home. Not many other bakers can say that! Also, they’re delicious and relatively cheap. Since I make them mostly for my friends and family, I don’t charge that much. I do it because I love it, not to make a profit. I think that could be considered pretty unique too! 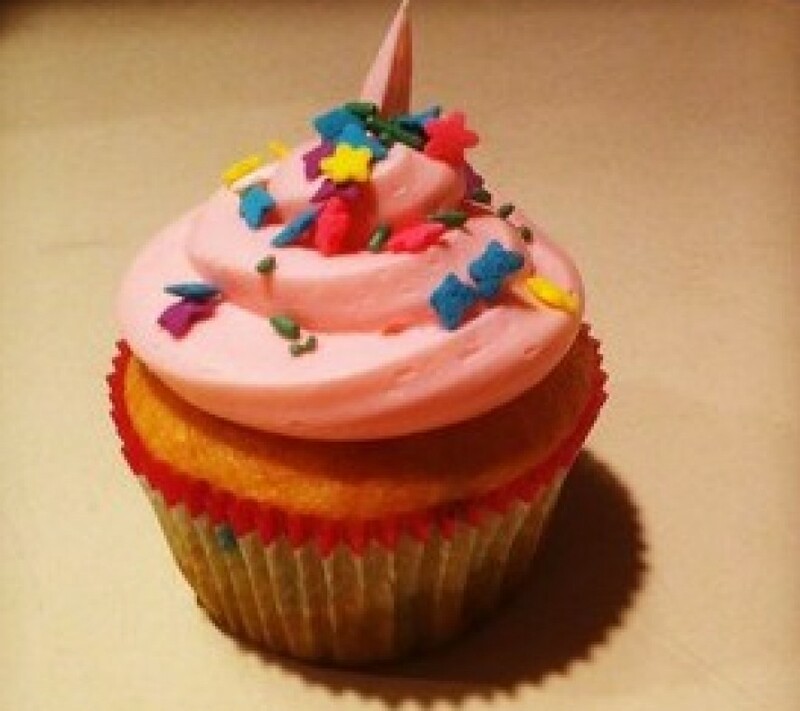 Do you think the cupcake craze is here to stay? Well, all I know is that everyone I talk to about cupcakes talks so much about how “obsessed” they are with them so needless to say, I think they’re here to stay. There’s so many varieties, there is literally one for everyone. What do you think most people would say is the hardest part about cupcake baking? For me, it was frosting! Frosting a cupcake is so difficult the first few times! Maybe it’s because I’m a perfectionist, but I messed up a hundred times before I got one right. For people just starting out, I would definitely think that making them look pretty is the most difficult thing ever. Watch a lot of videos and read things about frosting and just do as you see, that’s the only piece of advice I have. Practice makes perfect! What is your favorite part about cupcake baking? The smile on the faces of the people who eat them. There’s nothing like seeing someone bite into something you made and smile. It makes it worth it. Chinosi does not have a website nor was she comfortable with listing her phone number on the blog. As of now, she only accepts orders from friends and family or referrals. She hopes that one day, she can have a bakery and really test her skills.